Toshiba has expansion plans for its U.S. tablet offerings later this year as it explores more screen sizes and price points. The company will introduce new Windows 8 and Android tablets at multiple price ranges in the United States, said Carl Pinto, vice president of marketing at Toshiba America Information Systems, during a Thursday press event in New York City. The new tablets will represent a renewed effort by Toshiba to expand in the U.S. tablet market after a long silence. One of the new tablets will be shown at the Google I/O show, Pinto said. The Google developer event will be held between May 15 through March 17 in San Francisco. Pinto did not share specific details about the tablets and when they would be released. But he said that the company is willing to compete at prices as low as $199 and got to higher price points for better-equipped tablets. A number of considerations will be taken into pricing the tablets, including the operating system and screen size, Pinto said. Toshiba will be entering a highly competitive market with companies like Amazon, Google, Hewlett-Packard, Lenovo, Samsung, and many others offering low-cost Android tablets. Right now Toshiba offers one tablet, the Excite 10 (shown above), which is priced at $350 and runs Google’s Android 4.1 OS. Toshiba offers multiple tablets in different countries, and on Thursday announced a new WT310 tablet with Windows 8 and an Intel Core i5 processor in the U.K. But the company has had a rough history with tablets in the U.S. and some other European countries. The company cancelled plans to release a Windows RT tablet and also a 13.3-inch Excite Android tablet. The company also pulled its Folio 100 tablet and cancelled two Thrive tablet models, including a buggy 10-inch model. 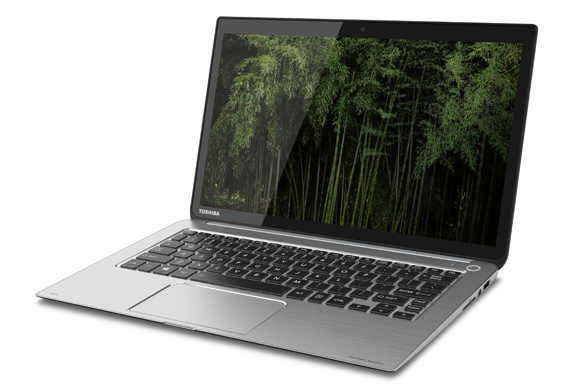 The company recently announced a new laptop called Kirabook, which has a groundbreaking design and a display that can show images at a resolution of 2560 by 1440 pixels.